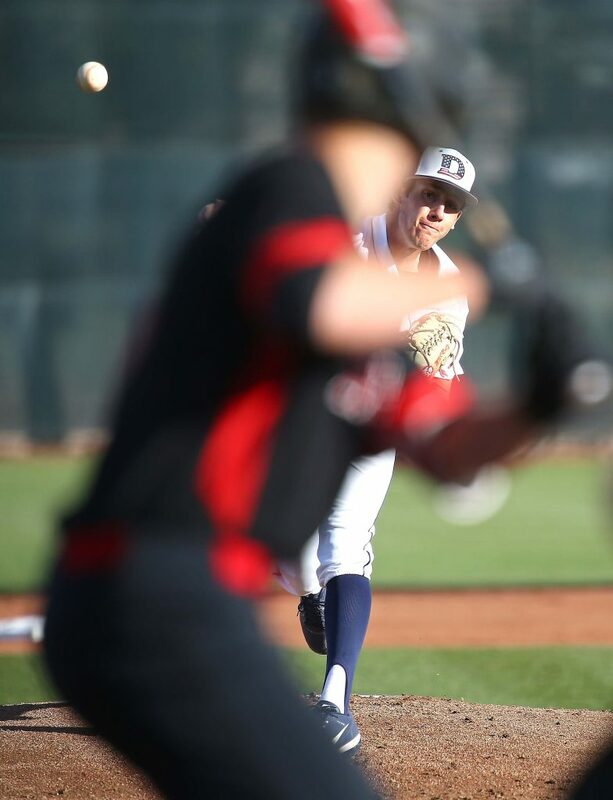 ST. GEORGE – Dixie State pounded out a season-high 20 hits, and the Trailblazers needed every one of them, as they outlasted Hawaii Hilo in a slugfest, 14-12, Friday night at Bruce Hurst Field. 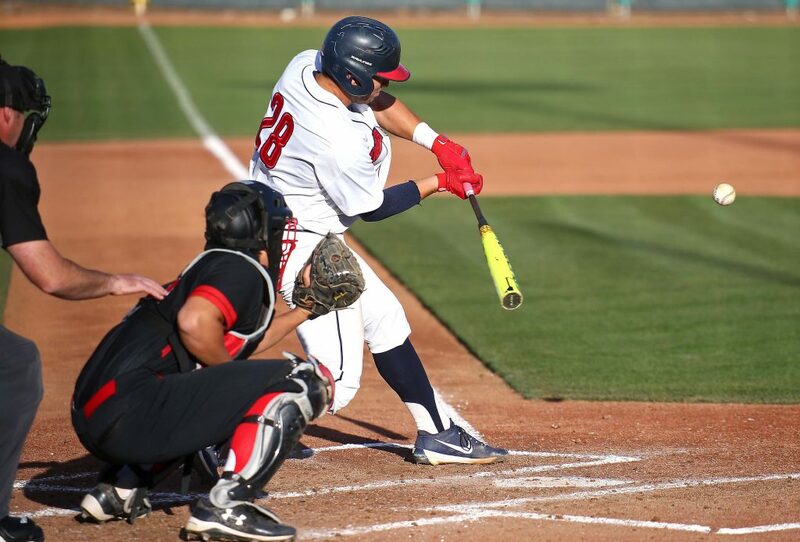 With the win, DSU pushed its winning streak to three games and improved to 14-18 overall, 10-12 in Pacific West Conference play. 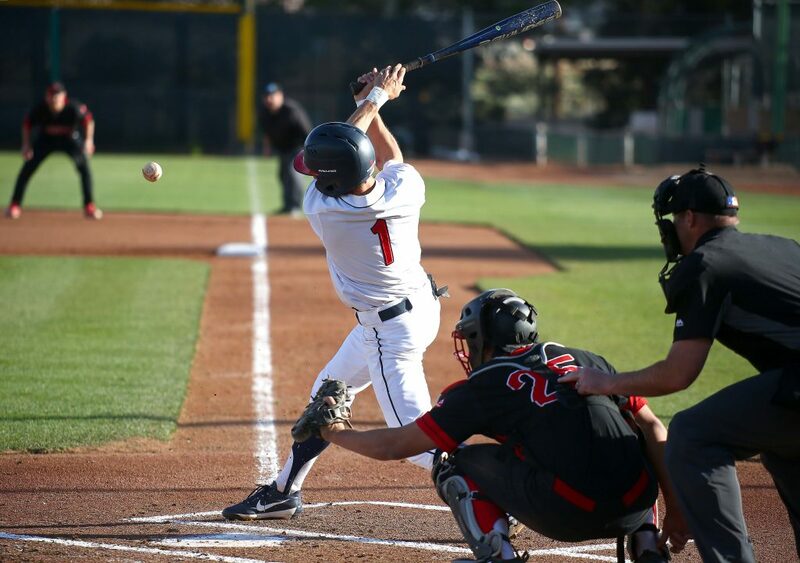 After spotting the Vulcans (11-15/7-11 PacWest) a 2-0 first inning the lead, the Trailblazers struck for one run in their first offensive frame before erupting for seven runs and eight hits in the second to bolt to an 8-2 advantage. 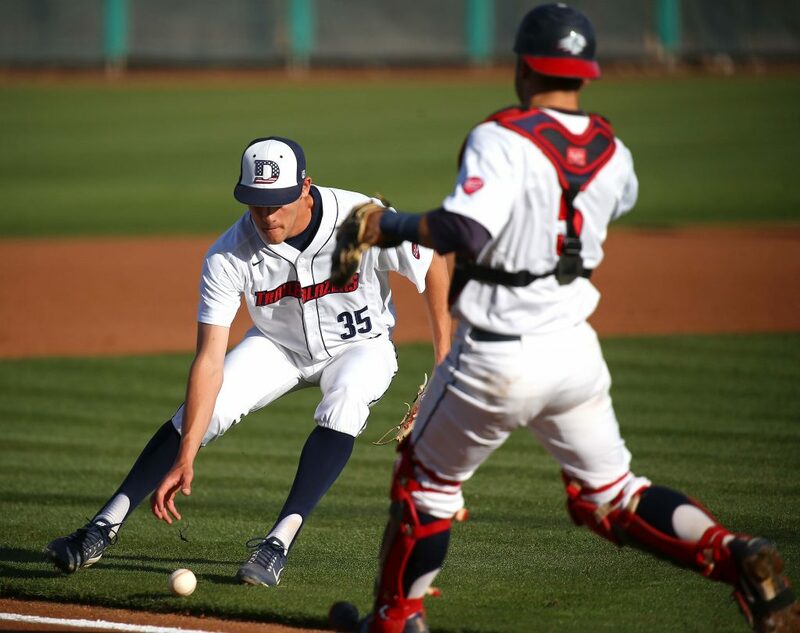 Jake Davison and Alec Flemetakis kick-started the rally with base hits sandwiched around a sacrifice bunt, and both runners would scamper home on a Kyle Hoffman double to right field that put DSU up 3-2. 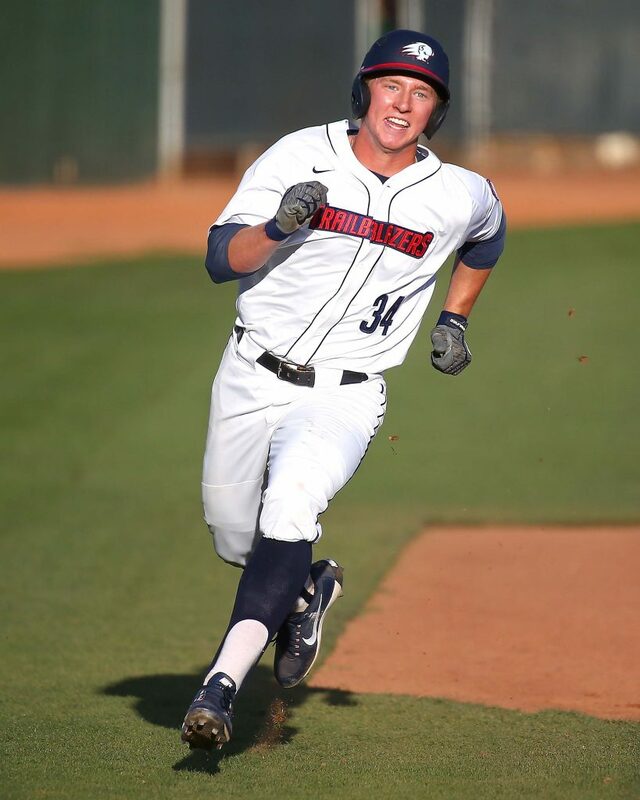 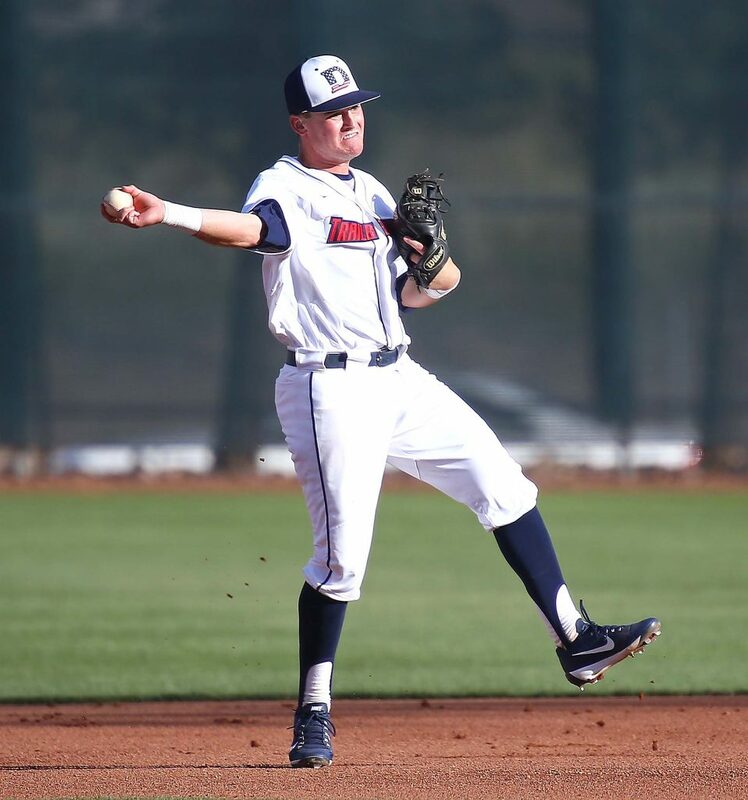 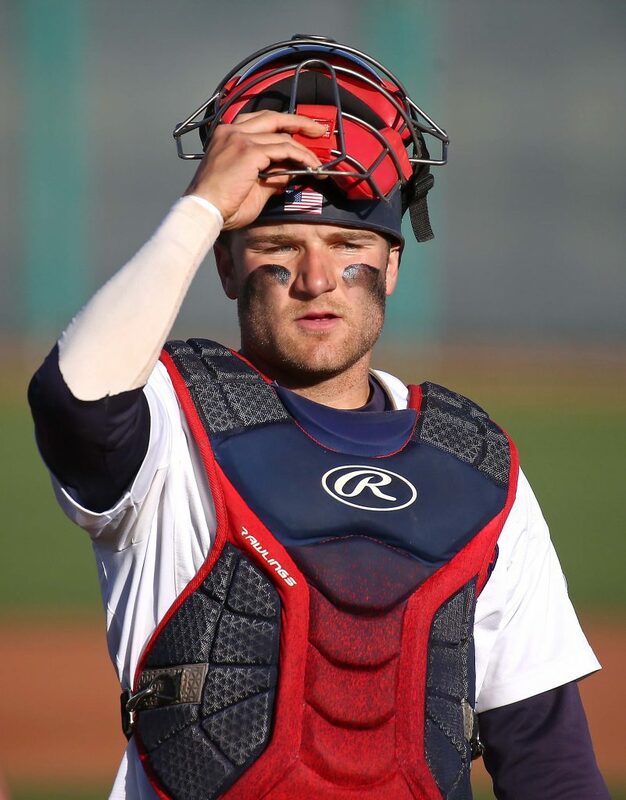 Dixie State plated two more runs on a Hilo fielding error ahead of Logan Porter, who connected for his fourth home run of the season – a two-run blast to left center – and Davison capped the rally two batters later with an RBI hit as the Trailblazers sent 12 men to the plate in the frame. 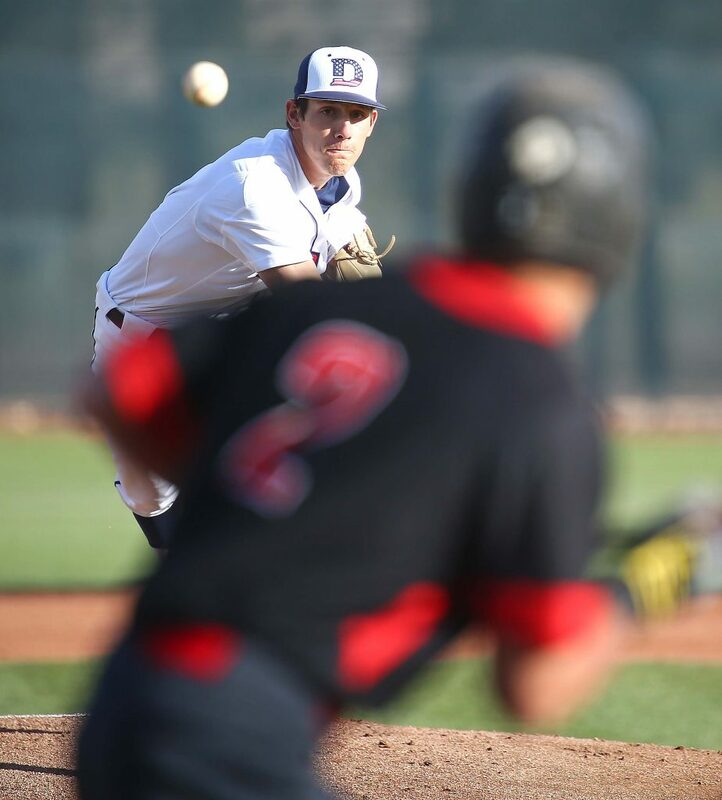 DSU would extend to a 10-3 lead before the Vulcans rallied with five unanswered runs, including three in the fifth and two more in the seventh, to cut the deficit to 10-8. 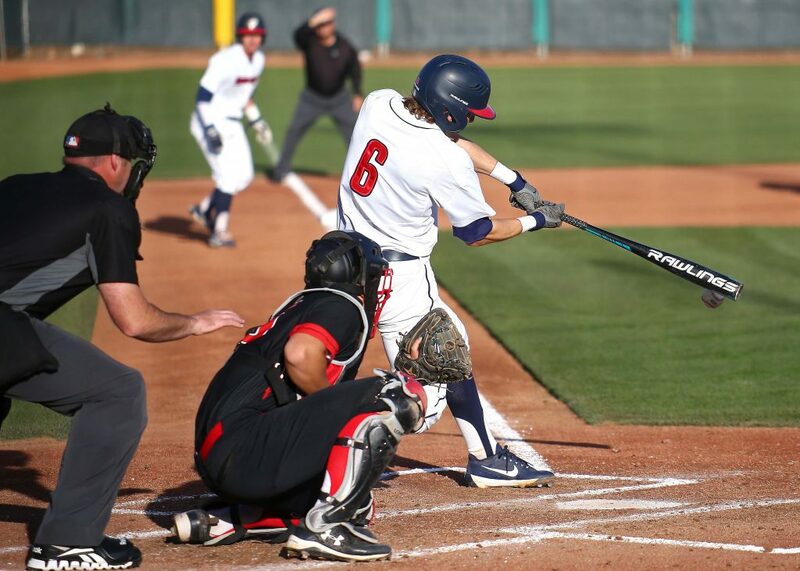 Dixie State came back with three runs after the stretch on a two-run Jagun Leavitt single. 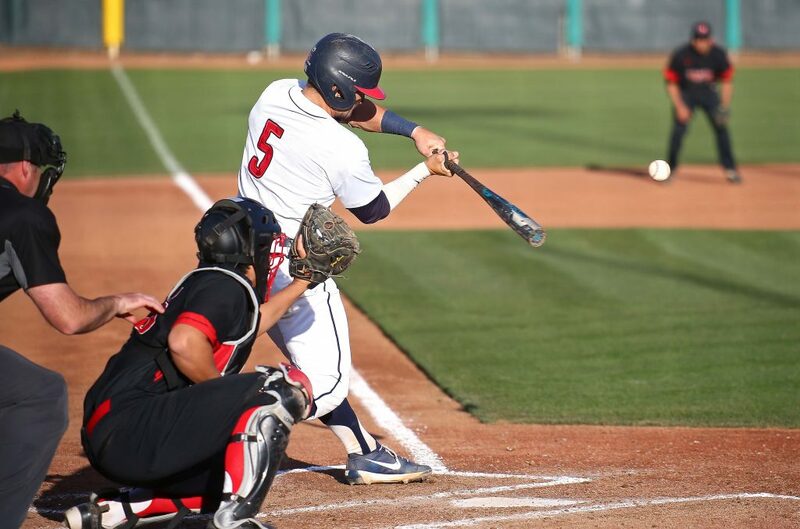 He would later come home on a Kade Urban opposite field double, which upped the lead to 13-8. 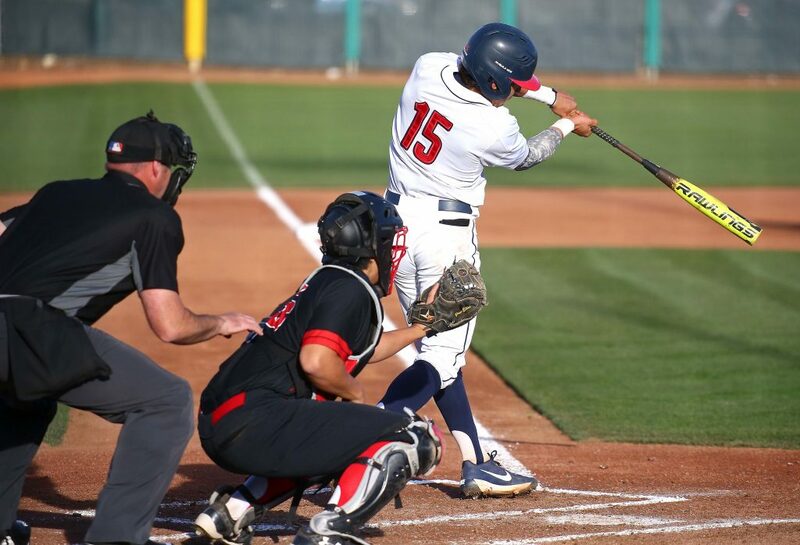 After the two teams traded runs in the eighth, Hilo cashed in a lead-off error and rapped out three hits to pull to within two runs with two outs and runners on second and third after a Dylan Sugimoto sacrifice fly. 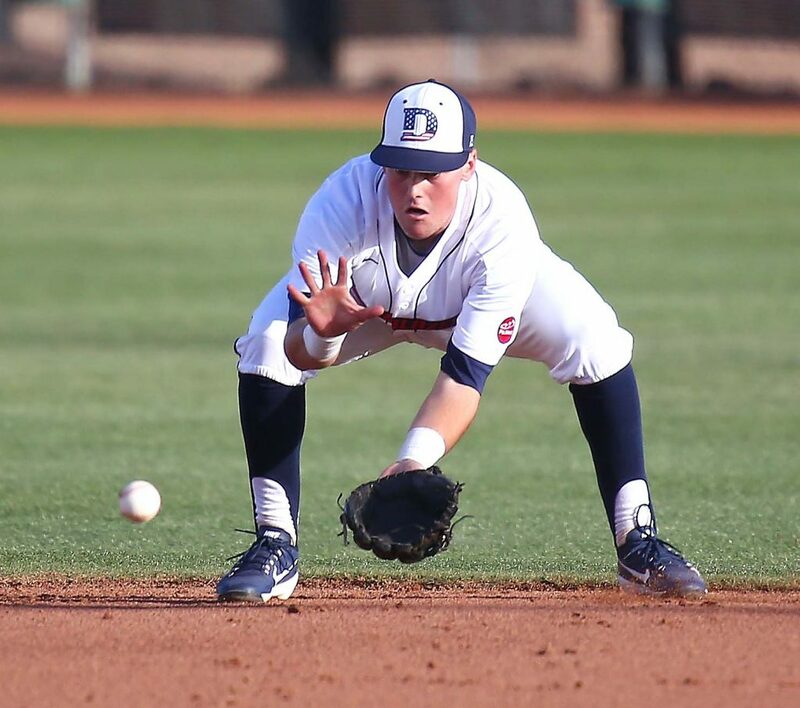 However, DSU closer Tanner Howell (S, 3) managed to induce a game-ending fly out on the very next pitch to preserve the win. 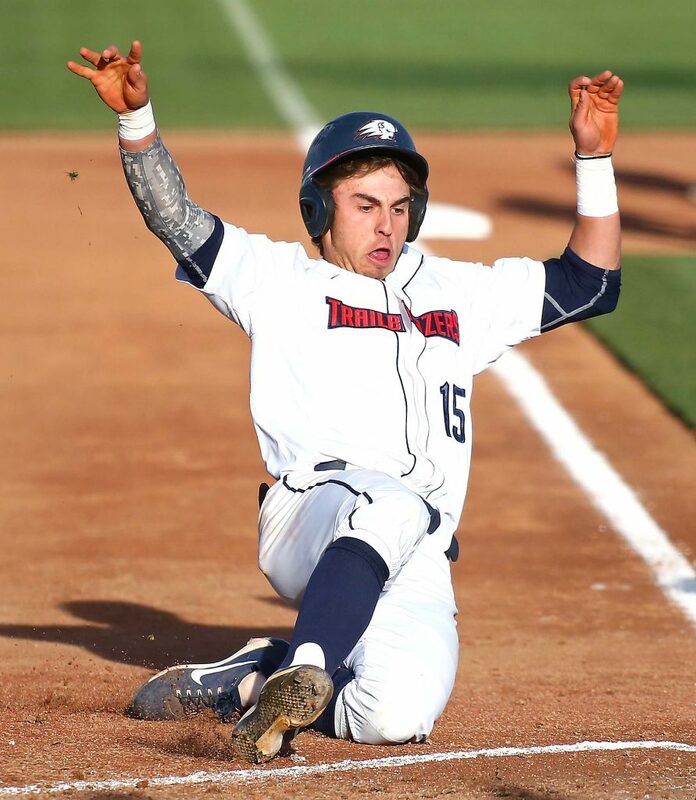 Every Trailblazer in the starting lineup finished with at least one base hit, led by Porter, who drove in three runs and went 4 for 5 with three singles to go with his homer. 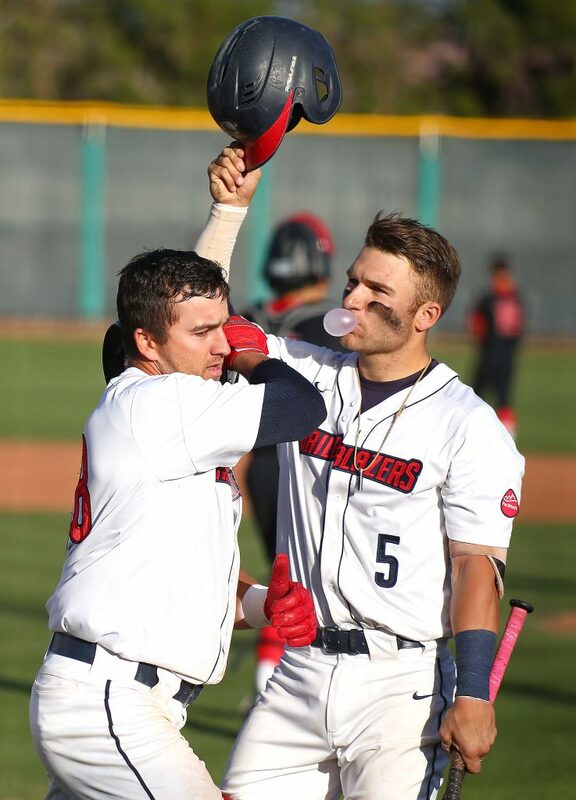 Hoffman and Leavitt also collected three hits and three RBIs, with all three of Hoffman’s hits going for doubles. 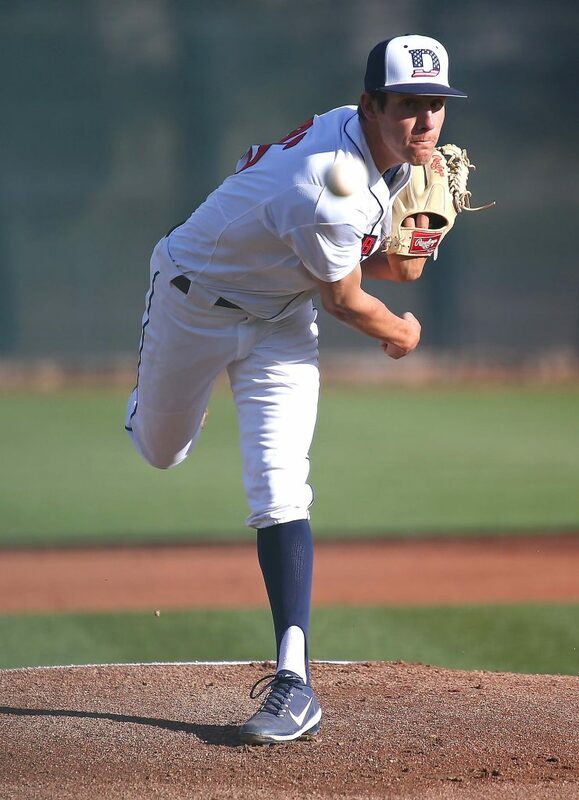 Junior righthander Jayden Murray (W, 3-3) struck out two and surrendered six runs (five earned) and six hits over 5.2 innings to pick up his third win of the year. 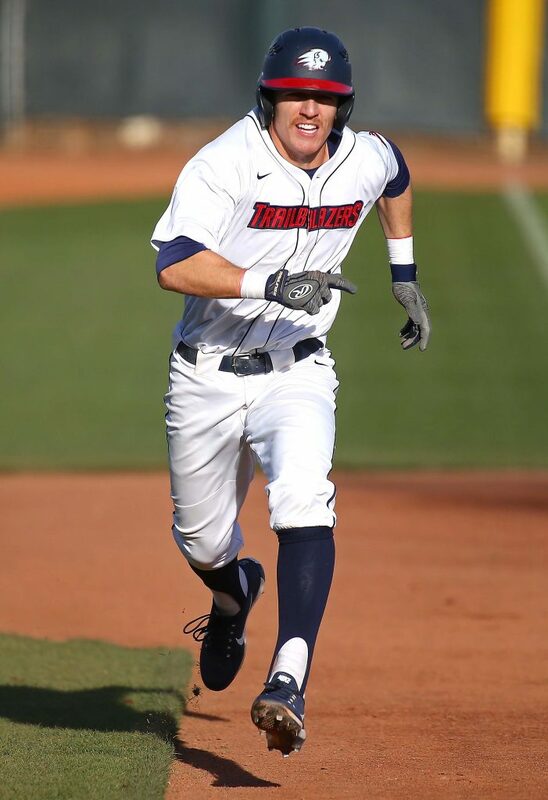 The two teams will wrap up their four-game series with a Saturday doubleheader beginning at noon.